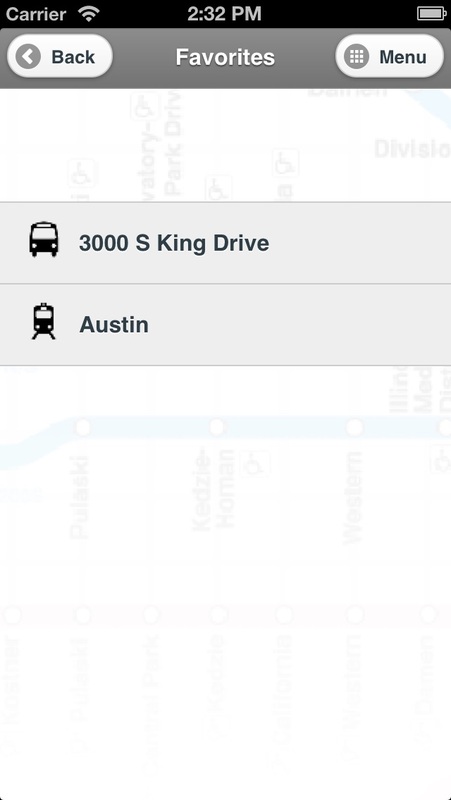 Realtime rail and bus predictions and map directly from CTA (Chicago Transit Authority), serving the Chicago metropolitan area. -Realtime Chicago CTA L predictions (Next Train) for every L train station in the Chicago region with auto refresh direct from CTA. 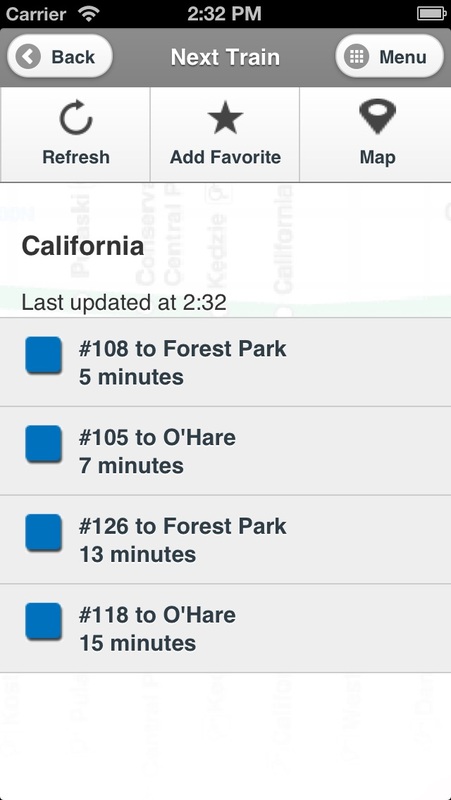 -Realtime Chicago CTA bus (Next Bus) predictions for every bus stop in the Chicago region with auto refresh direct from CTA. -Location based L station finder to locate L stations nearby. Provides navigation. -Location based bus stop finder to locate CTA bus stops nearby. Provides navigation. -Mapping for Chicago L rail stations and bus stops. 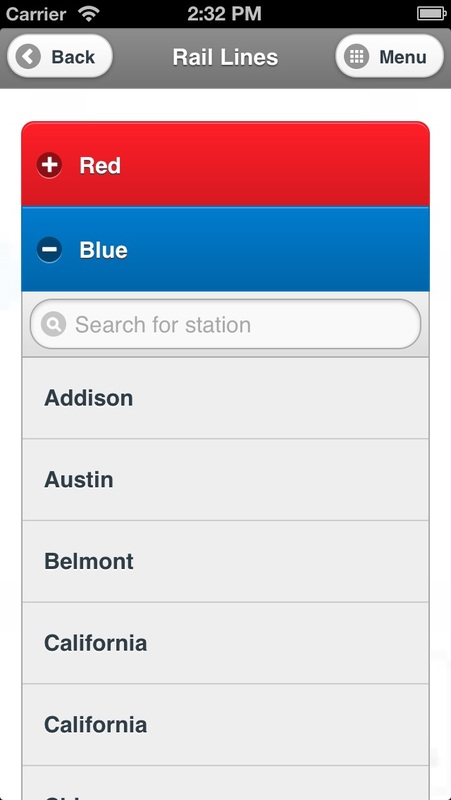 -Save commonly used CTA L stations and stops into your Favorites list for easy access. 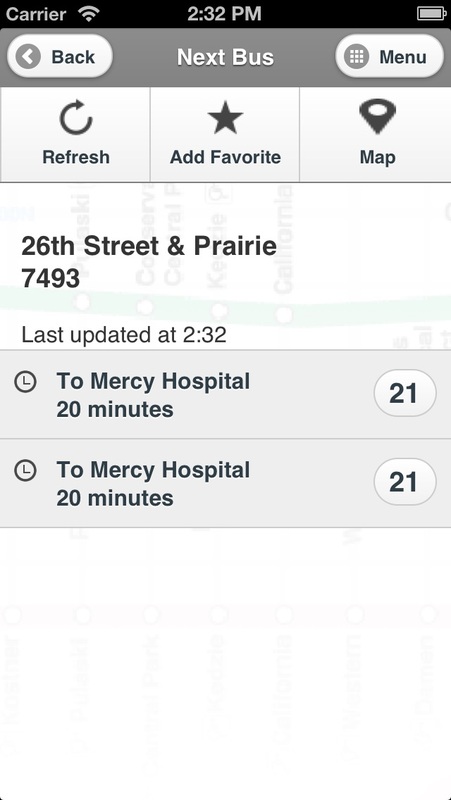 -Look up CTA bus stop predictions directly by the bus stop number. -Check to see if CTA is broadcasting any major alerts or disruptions. -Access the CTA L rail map to plan your Chicago L route (app downloads directly from CTA). -Smartphone and tablet compatibility. -Live twitter feed for CTA -More intelligent interface than Transit Tracks and Chicago Transit Tracker apps. 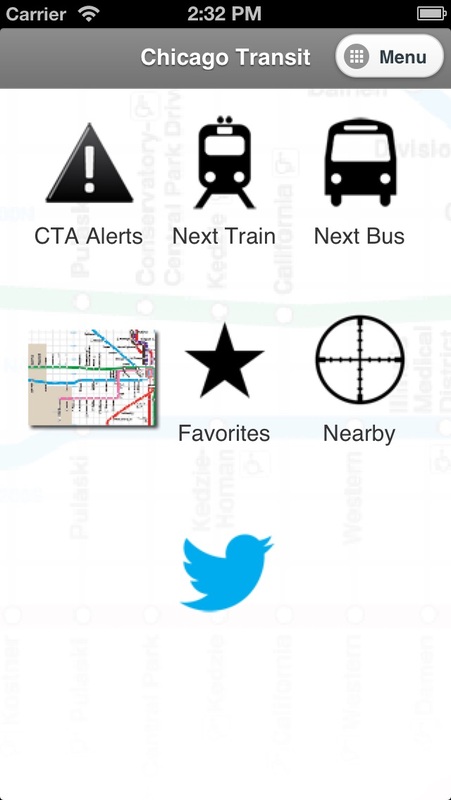 -And of course, FREE -Best Chicago CTA based app in the market. You must have network access to use these resources. Re: Some connection errors; very slow data/connection issues; flickering.... The ads were flickering on/off very rapidly. Very slow bus tracking; a bit of poor data connection. Perhaps mayB has bug problems. Please do fix & update this app to: iOS 8 software. Thanx so very much!!! Just what I was looking for, works without any flaws! I've been looking for an app that will show me the nearest Bus and L stops quickly and simply by detecting my location; and then showing me when the next departures will be. This app works great and does the job. I wish there were a way for me to pay to have the ads removed though.